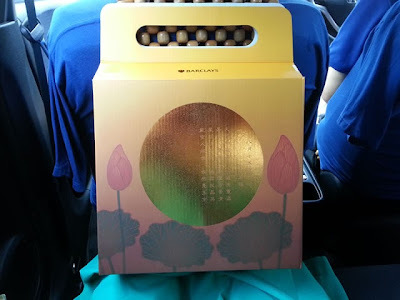 I blogged about Dr Yeo Sze Ling earlier and was tempted to compare her with Jamie Chua. Looks like many also felt the same. Jamie is very popular. I read somewhere she had garnered upward of 89K likes on Instagram. People are typically contradictory. 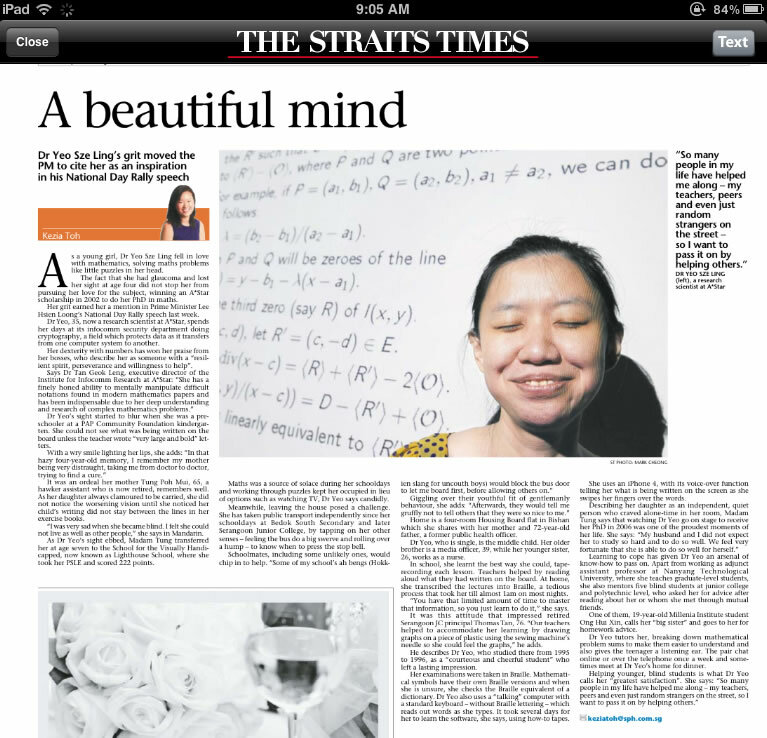 They called Jamie shallow but I bet countless women have given her more mindshare that Sze Ling. Fast forward 20 years for both of them. Imagine what might have happened. Forward to the point of death, that point when nobody ever complained about spending too little time in the office; looking better than others or being the top dog. What mattered then would be your relationships and if you are leaving this world a little better than you had first found it. So fortunate to be able to locate this story I used to receive in the mail years ago. Few people are like this fisherman, i.e., most would take the advice of the investment banker. Explains why so many are in awe and deeply admiring Jamie Chua. I could very well substitute her for any iconic successful personality here or abroad. At the end of the day it is one lifelong ego trip isn't it? A waste of time but most find it irresistible to resist. It is also the cause of much troubles in the world today. This is also the root of divisions and the wealth gap. 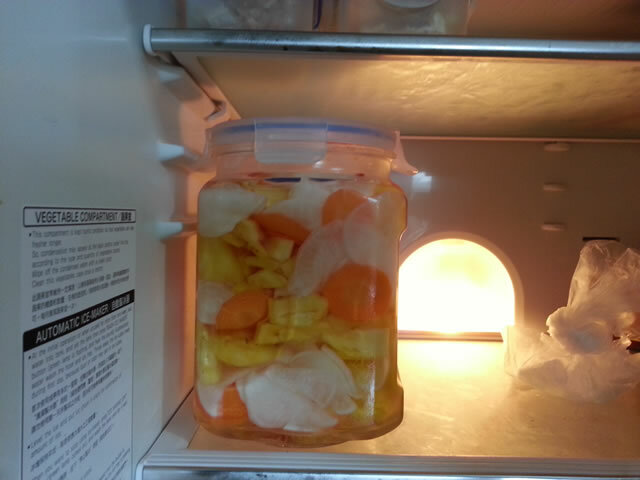 This is a huge jar of freshly prepared pickles. I wonder how we are going to finish it. I fear a lot of it would have to be thrown away :-( We are not in the habit of giving or receiving food with our neighbors. I had expected that we would need only one box of these but we ended up using almost seven of them! At least this long suffering strategy worked. The doc's suggestions were impractical. Often you just have to figure a way to help yourself. This is even truer with financial health. Sadly too many people do not have the education and much less the mindset to succeed here. Their best hope is a good government and the tragedy could be they didn't know and wasted it. Our first box of mooncakes for this year courtesy of my ex boss. One of my daughter's favorite. I think she should refrain from having too much even if it is only once a year. This friend from the US often irritate me with emails poking fun of President Obama. He is also anti-gay, anti-Muslims etc, but on and off he also sends me some of the most wonderful stuff. I got this from him this morning. The Internet brings to us all sorts of stories. One of those things I have learned is that there are many Nick Vujicics in this world. Nick is nothing special and also most special. He and all like him. Unlike Nick, Richie Parker has wonderful parents. He is also blessed with legs, something Nick lacks. You can see God's creation or Nature at work - the great economy, nothing is wasted. Just compare how he do things with Nick. They find a way as long as they believe it can be done. 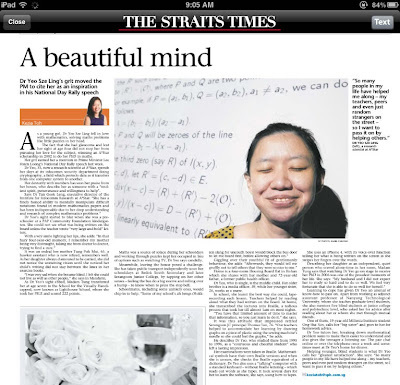 Closer home we have Dr. Yeo Sze Ling. Each of them is a huge inspiration. Each looks like children of a lesser God but it is in the less that you get more. Only believe. Half my job is to help my children go on believing. The PM fought back tears telling Sze Ling's story. Good for him. It is in our weaker members that we learn that we are strong. How others around also learn to be strong. He is finding faith. Don't be too realistic like his father and he was fortunate to have men like Raja who gave us our pledge, to bring balance to his leadership. Those were his best years. Some days I am idealistic and some days I am realistic. We need both. Our survival depends on it, no less because that is the secret from getting from good to great; from respect to admiration and love, which we know cannot be commanded. For all America's failings and there are too many to count, she is a great magnet for talent. Even as I let my friends of the religious right continue to irritate me before I delete their emails, I think it is worth it for the occasional gems they put out. I believe and is prepared to go on believing that they will change. They can believe the same about me too except they do not know those emails irritated me. That is the price for now I have to pay to keep them as friends. Can we learn how to live with homosexuals among us in the Gospel fashion? Too many professing Christians don't even know what that means. They have made the Gospel smaller than Sin. Their pastors have a huge responsibility to put this right but are instead abetting them. They have an irresistible urge to to be successful in the conventional sense. What a mess they have created. Vincent Wijeysingha is leaving SDP. 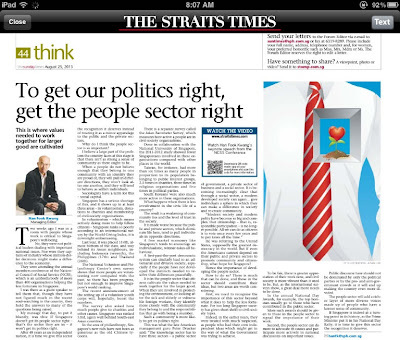 I recalled writing before that I don't trust him if he remains in SDP. I think he has done the right thing to leave. He can be more useful outside politics. I just read his interview with the Independent and Bertha Henson's article in Breakfast Network. The gays want to move faster than Singapore society is prepared to do. The time frame is too long term for meaningful politics. This is a slow chisel job and working through civil society is more meaningful and effective. I am for treating gays are equals to any citizen. Christian leaders who are resisting the gays for carving out fair citizens' space failed to recognize their own failings. I just came from explaining this to my daughter. Christians indulge in fashionable sins all the time. Sins that is common have a way of not becoming sins. Jerry White has written a good book on that - Respectable Sins: Confronting the Sins We Tolerate. Such Christians, especially their leaders e.g., Lawrence Khong are like the ones Jesus suggested they could hurl the first stone at the woman caught in adultery if they are without sin. Many Christians have weak moral standing in our society. Over the issue of homosexuality, the Christians are in a dilemma between throwing stones at gays or forgiving as Jesus had the adulterer. They can't throw stones without being called out for their hypocrisy but they also do not know how to forgive like Jesus. Watch them and you will eventually see them walking away one by one. With the gays, they will have to learn to live and let live. 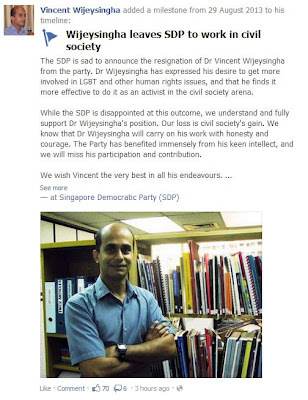 At the right time Vincent Wijeysingha could return to the political arena but I am thinking years away. And this is for Lawrence Khong and his kind, the Prayer of St. Francis of Assisi. It is grace not just law. No crusades please! It is only a matter of time that I will have friends may be even myself who would develop cancer to the point that Andy Ho has written about. Most of my cancer stricken friends are those who had caught the disease early. Their prognosis are excellent. 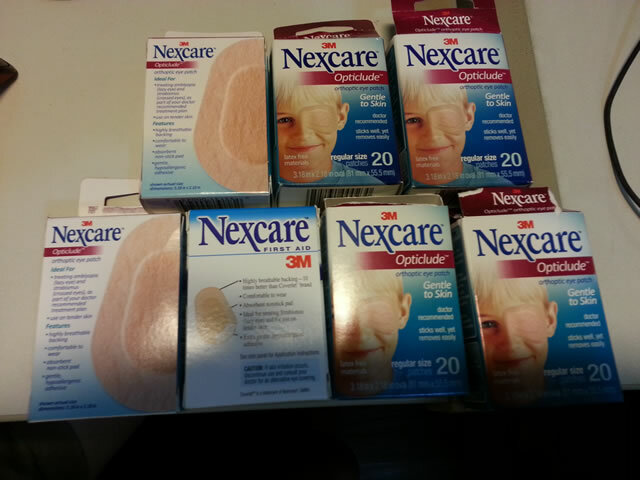 However there is one on 'maintenance' treatment and I often asked her about the condition of her liver whenever I am able to help take her to her doctor appointments. After reading Andy's article I wonder if it might not just be an extended palliative case :-( After all the senior consultant has given up and a junior doctor has taken over. From my late mom's experience, I think the line between cure and palliative is separated by a large swathe of grey. Most certainly so when oncologists disagree. This is not as straightforward as appendicitis. Palliative or not, Temozolomide gave her a few more good months, so good that she was well enough for us to take her to Floriade 2002. Cruel to be kind or not, such decisions aren't easy. Perhaps Andy Ho should continue to write about this. I have always seen him as one well informed smart guy. As the rich can freely patronize our hawker stalls, they are also welcomed to buy bread and butter cars. Not a bad idea if they do even if as a result the COE goes up somewhat. This is more art than science. A new COE system must be open to many tweaks. Maybe we shouldn't see COE as a long term solution. Driverless vehicles for the masses may be just it. And what is LTA doing about this? Just waiting for others to make one suitable for us? That would be the worst attitude. India is fortunate if she could stay still but the reality is that more and more people are giving up on them. In fact, I have been shocked and angry with them for sometime but avoided blogging about it. If I may speak my mind, they are damn bloody useless especially the government and the selfish upper class. Take a look at what financial markets are suggesting. The chart by Bloomberg shows the rupee is cheaper than during the last global financial crisis. You don't see this in any emerging markets. People are heading for the fire exits. The Congress government is totally feckless. They do not need reminders that all its oil is imported. A good article from the NYT summarizing the problems plaguing India. I have one word for them: self-sabotage. Nobody can help you when you are your own worst enemy. The solutions is internal. Good times came when the external environment is supportive but those times never last. 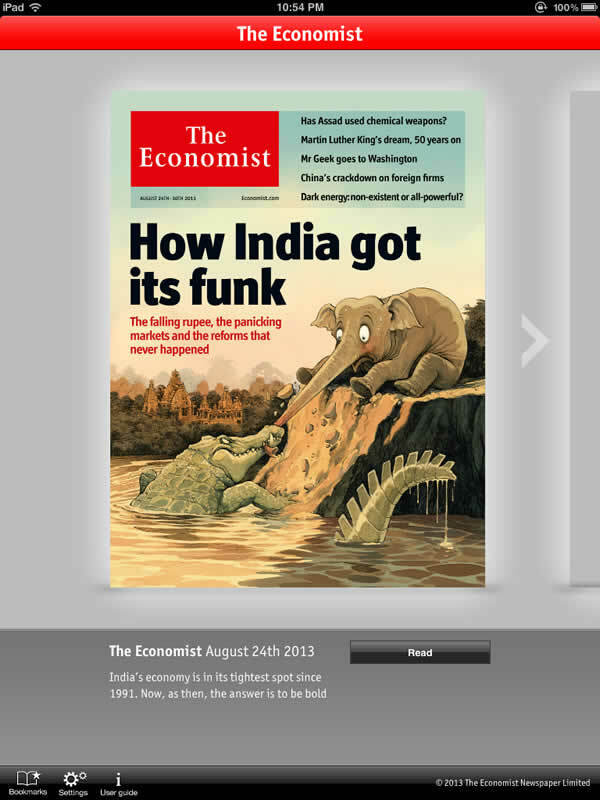 Kinda of says it all the funk India is in. I am writing the obvious here. 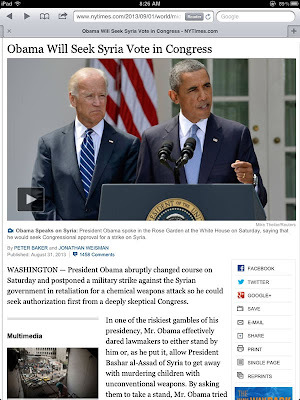 The Americans and its allies will definitely strike Syria over their miscreant use of chemical weapons. It is easy to just launch cruise missiles against Syria but what afterward? The Middle East is a mess and I don't see how man could resolve the issues there. Looks like we just have to let things be and let time offer opportunities for solutions. Against this backdrop the Israelis must be desperately trying to make peace with the Palestinians. I wonder how financial markets will discount what is coming. It is not going to be pretty. Beside a strengthening USD what else is sure? Dangerous times ahead and typically not good for most asset prices. Just as well. This is from the NYT yesterday. I have received email asking to pray that there would not be a strike. Christians in Syria stand to lose big if Assad falls. The opposing side are Islamists intolerant of their faith. Best to let the folks in the Middle East settle their own most complex quarrels. There is nothing outsiders could do to make it better for them. 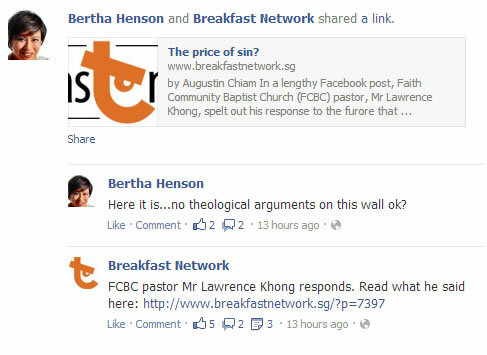 If not for Breakfast Network I wouldn't have bothered to end up at Lawrence Khong FCBC page. I partially and painfully read his two notes and the comments they attracted (note1, note2). BH pleaded "No theological arguments on this wall ok?" In an earlier post as usual I was lazy I wrote, "I can't tell you how to be separate and also inclusive. You know it when you see it and Pope Francis is the most prominent example of that but there are countless such believers going about it very quietly. One such guy wrote and published his story: The Irresistible Revolution: Living as an Ordinary Radical." You can be separate and also inclusive if your legalism is smaller than your compassion. You can be as evil as you can imagine but God's grace will always be greater. The world look toward the churches to exhibit this and is regularly disappointed. I am not complaining, it just is. This would be my response to those comments at FCBC facebook page. The evidence of compassion is not to explain and argue how you have acted correctly which was how Lawrence Khong responded. I was looking for grief, sadness and loss. Think one lost sheep out of hundred and the shepherd went looking for that lost one. Think the story of the Prodigal Son and the Father stood by the door waiting for as long as needed for that one to come back. Really, that's all Lawrence Khong needed to say. The whole church wait for her to come back. Of course this didn't happen or they would have given her the compensation after firing her. She would not have any reason to complain to MOM. If you are known more for your "loving" discipline than your compassion, know that even unsaved people are not blind enough not to be able to tell. Churches made their choices how they want to organize themselves. If you choose to ape what is un-Christlike you live with the consequences. Good and evil, black or white is all mixed up like weeds among the wheat. Try to separate the two like Lawrence Khong and his members were doing and you just tie yourselves in knots. The experienced Bertha Henson warned that she would not accept theological arguments. That's wise. The Missionaries of Charity saw the light and decided they would not be like the rest. I reproduced the last five minutes of the movie, "Mother Teresa of Calcutta". 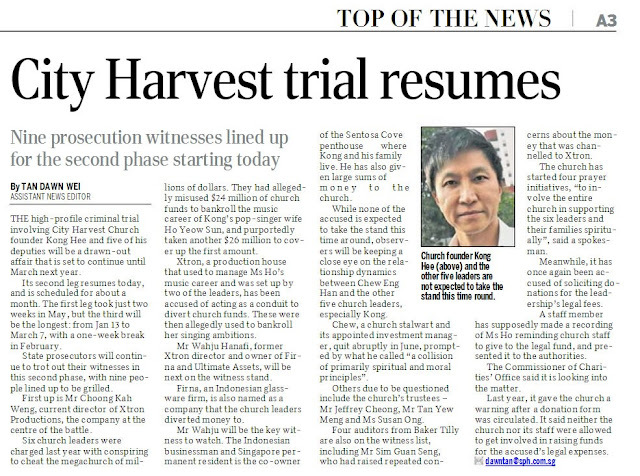 Today the trial of Khong Hee and his compatriots continues. I don't think I can spare the time to follow the stories in the papers but I would read the short synopses and comment if Breakfast Network cares to provide them. 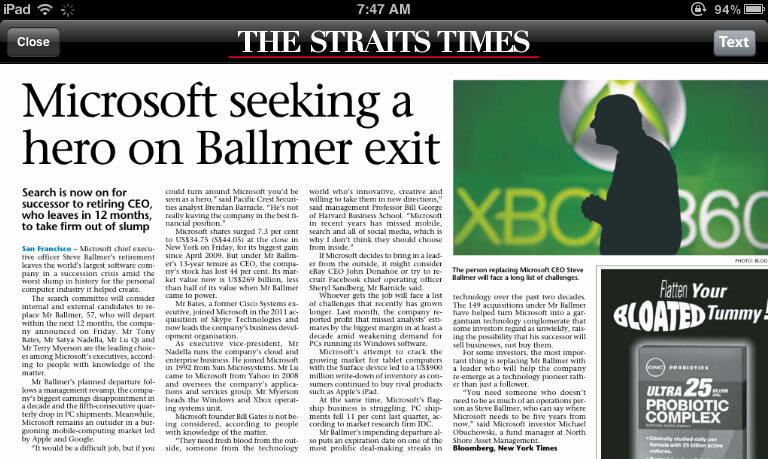 Nevertheless the following from ST today at the end of their story caught my attention. Meanwhile, it has once again been accused of soliciting donations for the leadership's legal fees. 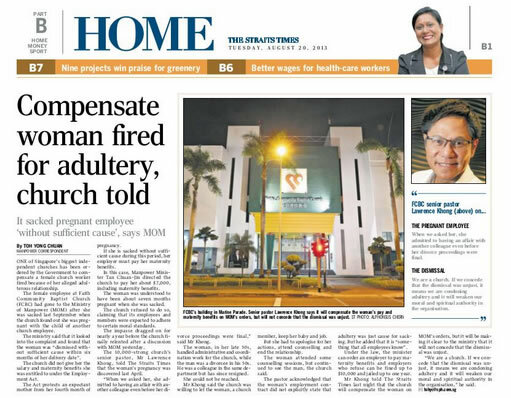 A staff member has supposedly made a recording of Ms Ho reminding church staff to give to the legal fund, and presented it to the authorities. The Commissioner of Charities' Office said it is looking into the matter. Last year, it gave the church a warning after a donation form was circulated. It said neither the church nor its staff were allowed to get involved in raising funds for the accused's legal expenses. Damn private sector envy, i.e., if you are good you ought to be rewarded like they do in the big firms. Everyone was afflicted including the government which is now trying to wean itself off that. 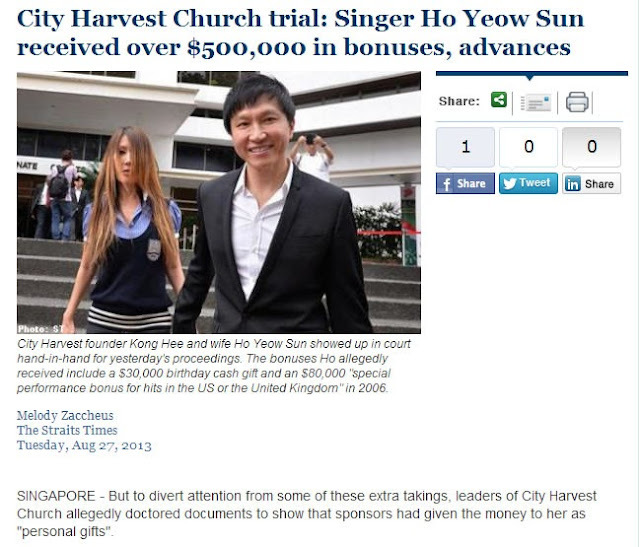 Trouble with Ho Yeow Sun was she was no good. 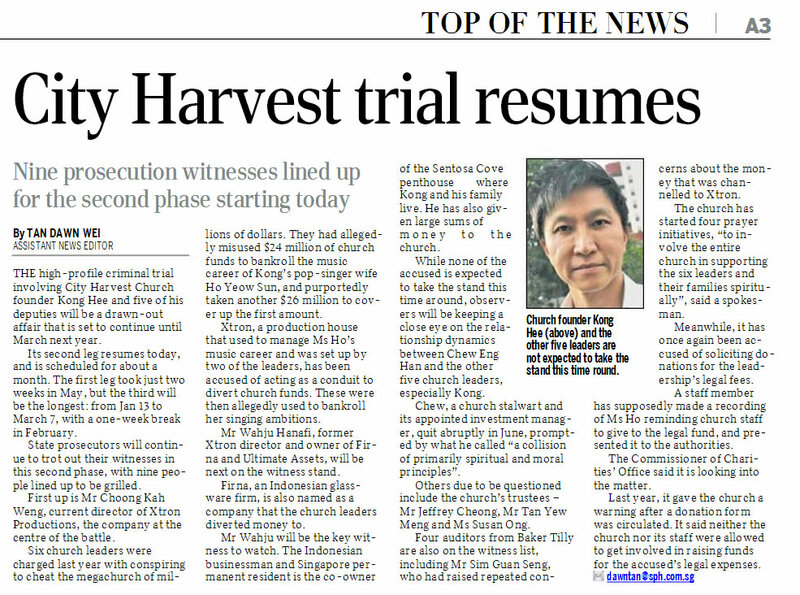 I still remember my friend in SPH telling me how puzzled he was when the church bought a ton of newspapers....it was to support the singing pastor's wife. I was waiting for wifey this morning and had some time to read. 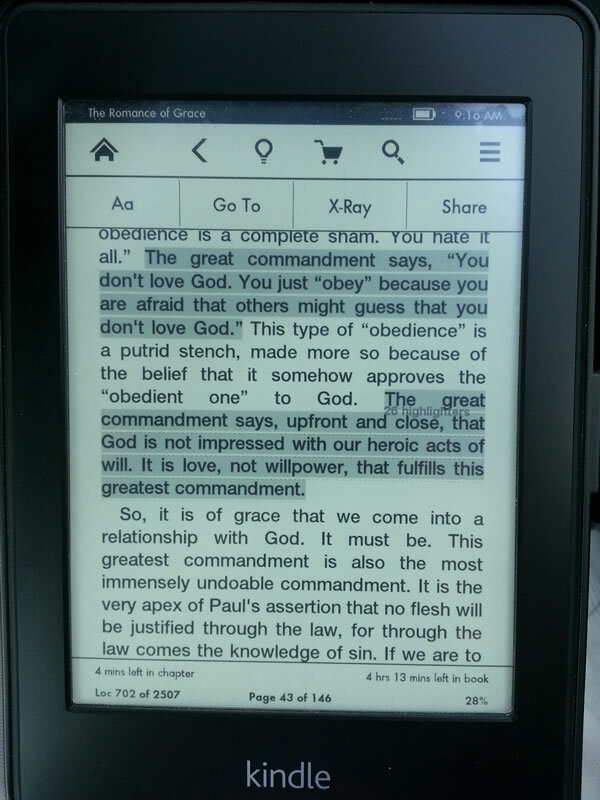 Call it coincidence or more, the writer of "The Romance of Grace" explains what is happening with Lawrence Khong and many at FCBC or for that matter at churches across the world most succinctly. If these people aren't interested to receive grace at least don't make it hard for others who are keen. 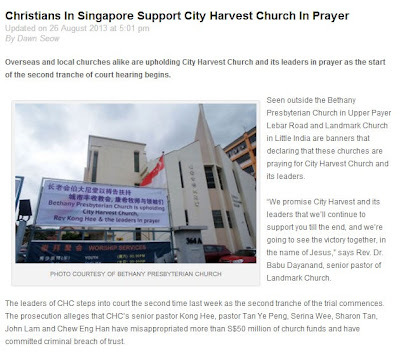 I become aware of this from Singapore Daily about some churches supporting CHC in prayer. I am quite close to the mark about these guys. I was right to lump Kong Hee and Lawrence Khong together. Of course legally they are separate but morally they are peas in a pod. 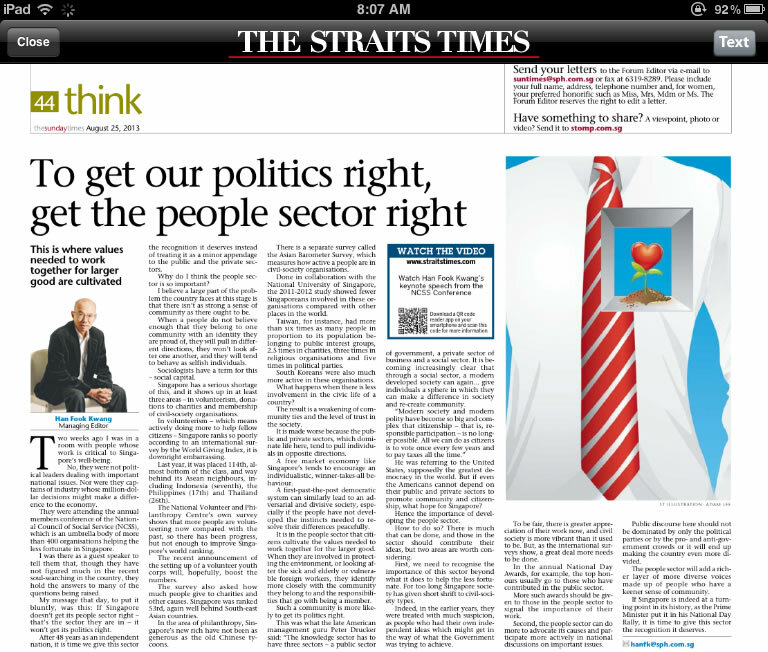 Here is quoting Lawrence Khong in the article. 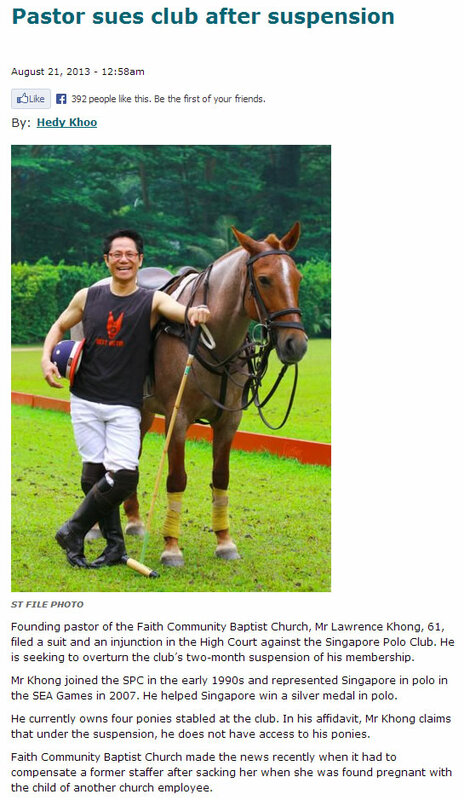 Lawrence Khong, Chairman of LoveSingapore shared that the motivation behind praying is love. This is from the Sunday Times yesterday. I was so happy and inspired by her but I also can't helped comparing her with my daughter's experience. Many people including strangers helped her. I have also lost count the number of times I had helped a visually handicapped person too. It is easier to empathize with such because we can imagine how traumatic and difficult if we couldn't see. Because my girl's disabilities are not casually visible she had often ended up on the other end instead. Some teachers were even hostile but most were just clueless and frustratingly clumsy. In the background I had to do a lot of repair work but we were fortunate she had a couple of the best teachers in the system. One was often a finalist for the PAT and the other won the award. I like this pic of Dr. Yeo. TNP made an excellent choice to publish this. This is what happens when the once great has become only the good. It could be our story too but nation states move in slow motion compare to Tech. 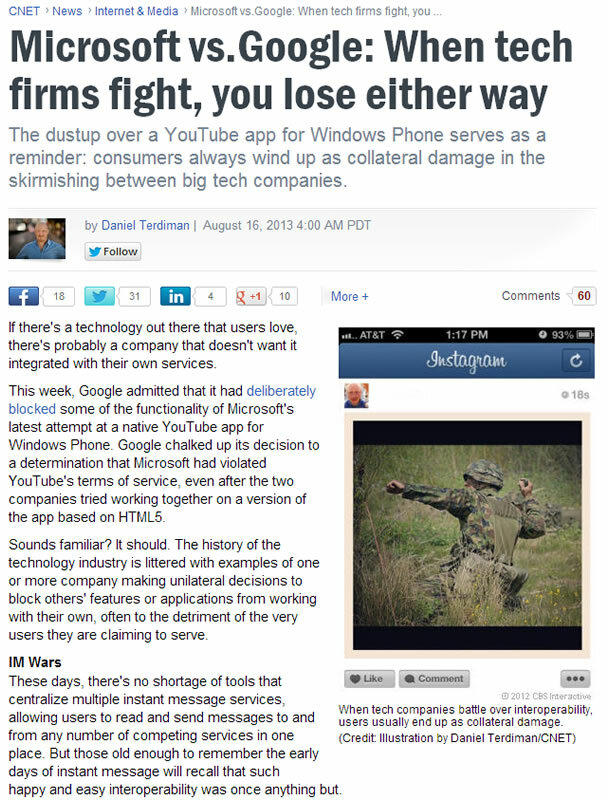 We ought the learn the lessons of Microsoft. Both of us have similar values, which I disdain. It is not a product, service or even resource story which belongs to the industrial or agricultural era. It is a people story. Microsoft hadn't been able to attract, organize and retain great people for a while. 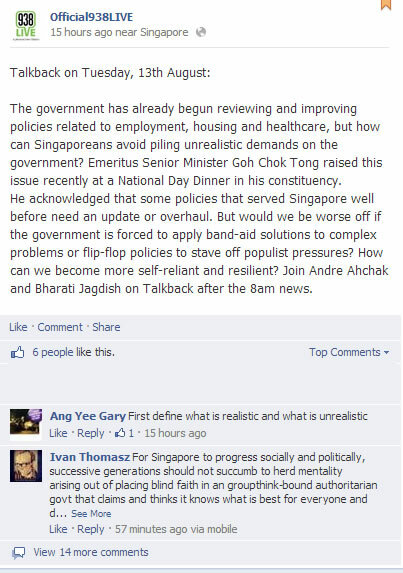 Similarly in the government space, many governments are bad, some are good which Singapore is in and nobody is great. We were once great. 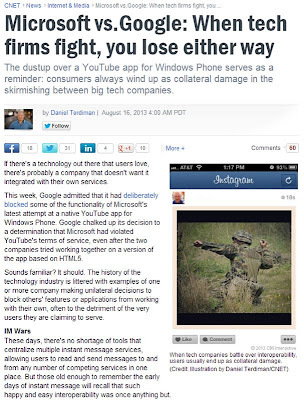 That's why we are doing better than Microsoft. I hope we are retooling ourselves to become great once more. There is no evidence we are getting there. Right now we are only closing the obvious gaps. This article from Fortune explains my case far better than I did earlier. I agree with Han Fook Kwang but I also think we do not have the luxury of time to leave the people sector to develop on its own. This was never realistic. The government did its utmost to bootstrap the economy allowing a rich and self interested class to develop and hope that the under resourced people sector could match the economic sectors? What an oxymoron. That's why some of us felt the government was never keen on the people sector that excepting LKY they were closet and hence hypocritical Darwinists. Now they have no choice. If they want to hold on to power they need to strap rockets to the people sector too. Sometimes I blog as an idealist, at other times as a realist. This is one of those get real moments. Link to the non pay wall version. The answer to Li Xueying question is in Beijing. Eventually one country two systems will become only one system and that would not be the HK system. How would that make HK a competitor to us? I think the right question would be to replace HK with Shanghai, which would be quite a different creature. Meanwhile HK will do whatever it takes to survive. Her greatest fear must be closing the gap between the immediate neighborhood of China and itself. 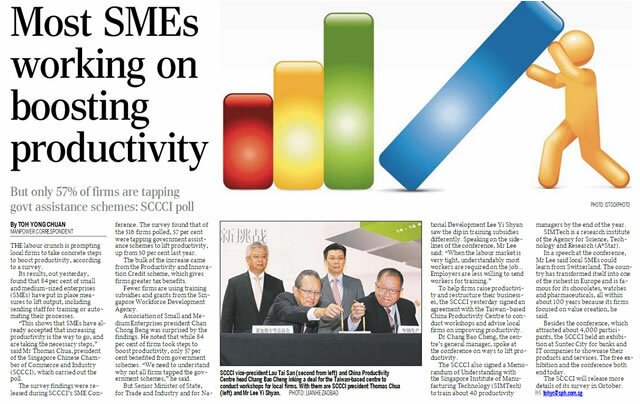 Unless the Chinese government and SOEs are targeting them, the tycoons would be more than well. The rest of Hongkongers just need to look across the border to see the future. Not very attractive. I do not need to be politically correct here. A HK facing tumultuous change and instability would benefit Singapore. Hongkongers disdain for us have turned into envy. What do I care about the tycoons unless their money can shared around? Readers love to read about the rich and famous and newspapers try to oblige them. Just as property tycoons replaced textile taipans, something else would come along and take over. More likely the Chinese would creatively expropriate the tycoons' wealth when they are no longer politically useful and worse socially liable. The perfect excuse for replacing them in the path to turning two into one Chinese system. Meanwhile just let the Hongkongers stew till they begin to worry more about bread and butter issues than politics and freedom. Of course I am oversimplifying the issue or there is simply too much to write. Oh if IMF were ever called upon to provide support for emerging markets, you can imagine what onerous terms they would be. I hope it doesn't happen but we cannot be too sanguine about this. The macroeconomic numbers are useless. They can be used to tell any story you want. Investors are fleeing emerging markets even as central bankers and government leaders try to talk courageously that they are alright. What is worrisome is the micro economics. Under the radar too many businesses had been borrowing cheap USD. It was simply too tempting. Also if you did not load up on USD debt your competitors were going ahead. How are you going to play? Now that the USD is rapidly strengthening and interest rates are going up, there could be hell to pay. This whole thing is starting to look like dusting off the old late 90s movie of the Asian financial crisis isn't it? Except that this time it wouldn't just be our neighborhood. It would be across all emerging markets. Amazing Hong Kong girl. I am more impressed with her than Nick Vujicic. It is not easy to explain why except to say that I identify with Tsang Tsz Kwan much better. Perhaps Nick Vujicic is already so successful. He comes across like the holy grail for overcoming severe disabilities. Difficult and amazing as it was, Tsz Kwan is like someone you can reach out and touch, sit with and have a meal together. Someone you could connect with compared with Nick Vujicic who seems to walk on water. How should WP respond to the NDR? Now that the PAP is copying WP's suggestions and given that the government has far more resources and capabilities than the WP, what should WP do? 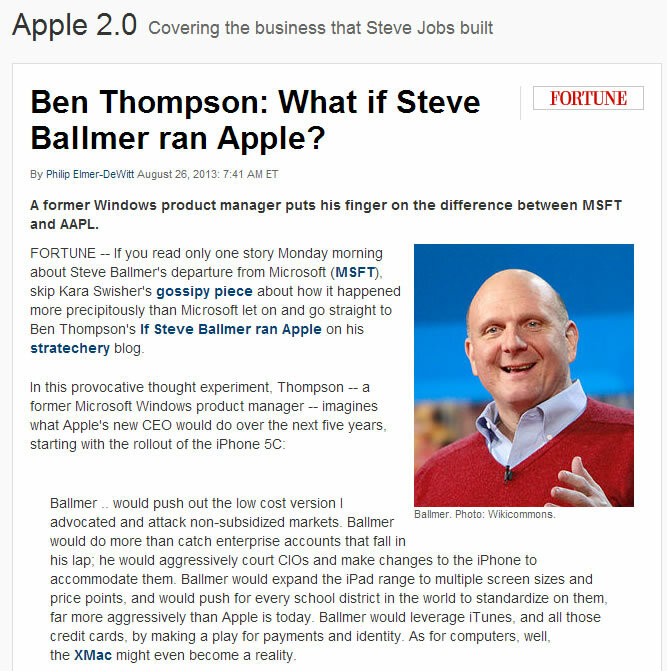 I think WP strength is to stay ahead of the curve. The PAP together with the huge machinery of the civil service is like a supertanker. It cannot change course suddenly or easily. Even it if decides to speed up or slow down, the change in speed takes time. On the other hand the WP with no burden to carry out proposals is an agile skiff. It never need to worry too much about detailed practicalities and could always speed ahead to explore new possibilities. In short the WP can make the PAP better than most PAP MPs who must sail more closely with the mothership. Very few PAP MPs have the confidence to stray too far. The WP has helped us to make government better and I look forward to seeing them getting better at it. I was wondering how this government plan to pay for the extra spending the PM proposed during the NDR. 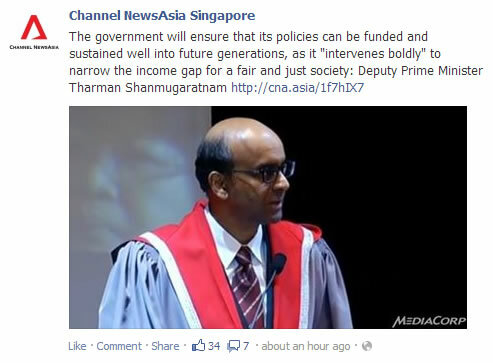 The Finance Minister Tharman explained how along three guiding principles. 1. Deliver policies for a fair society in a sustainable way. Let's watch how they make that balance, which must not be like before. 2. Design policies and subsidies that will reinforce individual and families efforts. Yet again if like the usual detractors you think they would stick to the old balance, there is nothing new. I don't think they are so stupid. 3. Government will find additional ways to support community initiatives for a just and fair society. I think of the three this could turn out to be the most critical. This is the arena where they will get the information and targeting needed for 1 and 2 above. MOE is putting greater emphasis for our pupils to look and act beyond oneself and contribute to the larger community. At the same time, the government in the OSC have discovered there is plenty of idealism, energy and enthusiasm especially among the young which can be well directed. We have about two or more years to see how they put all these into action. My gut feel is that they are finally get it. I still wish for better than this but this is good enough. Finally have time to read the papers! For years the government had been preaching to us to change mindsets. They even sell the message to themselves! But people change their minds slowly if at all. This is no bad thing. Imagine how unstable and unpredictable society would be if people can be persuaded easily. What Mr. Heng needs to do is to show in simple and clear terms what is rewarded and punished in our education system. He will discover that we are very fast learners, very adaptable. Mindsets will really change in a hurry. We must try our best to be fair but also recognize that despite our best efforts life is never fair. Lady luck is often partial and in ways beyond fathoming. Those who are out of luck often petition the government to make things fair but up to a point even the government is powerless here. In fact they might even make matters worse. Once you move away from paper test scores luck will feature more prominently. Persuading people to accept this would be quite difficult especially given that who your parents could give you a leg up or cause you to be handicapped even before you begin to compete. 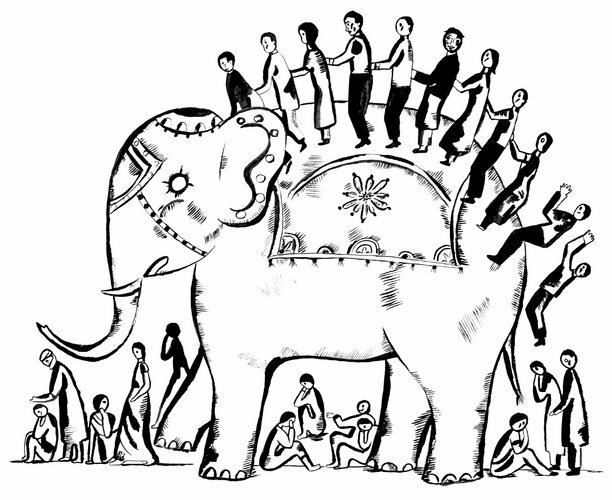 Structural bad luck which we have become locked into can only lead to social bankruptcy. Years ago LKY had often worried aloud that society will become more stratified but he accepted it as the natural order of things. I wonder if he was prepared to accept its consequences, which must lead to the demise of this place eventually. Then as now people look to education as a leveler or more accurately as the primary means to level up. Any overhaul to the system must bring back this hope and promise. If people can see that they will change their mindset faster than you can blink. We must also make sure our system is independent of who you know otherwise this will become a cancer to meritocracy. This is yet another devilishly difficult challenge. Many will try to game the system when objective tests are replaced by subjective judgment. It is both very easy and very hard to change parents' mindset about education. We must make all paths promising but no path is a sure path to success. Random luck must be allowed to work and structural bad luck must be abolished. Sure paths must allow more uncertainty to feature. E.g., we simply cannot allow becoming doctors to be a secure path despite the huge amounts it cost to train them. Similarly being a scholar must be seen by parents as not a sure bet for success, only extremely promising. Then you will find that only the right types of people would opt for a doctoring career, becoming a lawyer or even an admin service officer. Other careers starved of talent would receive more interest. We must not make America's mistake which was to scoop up the smartest for Wall Street. Their promising young were seduced into a sure path when in life nothing is sure. As they stay long enough on the Street they eventually learn this truth but for many that discovery would come too late. Not everyone got out as quickly as Michael Lewis. Link to Bertha Henson's article. Bertha has put out an excellent article today. Very useful when for the past couple of days I could only spare the time to read newspaper article's headlines and one or two lines summaries from the wires. I can write a book on this subject or just a few short paragraphs which few would understand. Sorry! Most people don't realize that they actually want a free pass when it comes to education. They all want the system to be shaped it such a way that their own kids would be successful. Listening to them giving feedback on radio, I found many have also become well practiced at selling their point of view even. I believe a growing number can only see the issue from their own perspective too as they believed they have the fairest view. How to persuade such people? The education system that would make everyone happy, no put that to the majority happy, can never exist. Those who had gained from the system inadvertently try to preserve their success through their kids. The time tested way to achieve this is to belong to the right group - the birth of the elite schools. If every family gets its wish we would have a classless society, an impossible Utopia. At best we could only respect each other as equals whatever our social standing. Such a society will take longer to emerge than the lifespan of Singapore. For those who believe that we need to nurture competitive winners to keep this place going since we have to compete successfully against all outsiders, how is a society of winners and losers going to turn into one where everyone is equally respected? The worst job in Cabinet is to be in charge of Education. The minister will always be asking parents to be patient. In fact they have to be that forever. As a realist, I do not try to solve system wide problems. We have highly qualified and compensated ministers and civil servants to do that. Time and tide waits for no man as I watched my children grow up. I had to fashion my own solutions. The question I ask myself is how many people are able to do the same in their own way? I think not many. As a politician you are paid to be a busy body to solve everyone's problems if that were possible. Tharman's brainwave is the concept of many peaks and many models of success. In this way the ranks of the successful can grow very large. Conceptually it is a beautiful idea but the devil is in the details. Heng Swee Keat who used to report to Tharman at MAS will have to do just that. Already he is starting to by selling that the university route is not the only way to success. Our issues with education in order to get results will force politicians to get into social engineering eventually. Do they see that coming? Because people will not be persuaded with just words to change behavior much less attitude. How many believe every school is a good school. That is the starting point in the thousand mile journey to everyone is also good at something and worthy of as much respect. This is the most practical outcome to classless society. Every school is a good school? Even if that was true, my tuition teacher is better than yours. So you are going to try every tutor is a good tutor? With Education, you solve one problem it reappear in another guise elsewhere because we are fixated with winning. One game ends, there is always another one appearing somewhere until it belongs to those who are willing and can afford the $$$. As far as I can see, still the winner takes it all. It is a bad system and I hope people realize any alternative is worse. You are fortunate if you have faith in a higher power. You have escaped the system! It is dawning on me that Heng Swee Keat could turn out to be one of the best if not the best Education Minister we have. He is taking the bull by its horns. The guy has faith and courage. Here is what he like to see more often and I had even blogged about it before as the my most important blog to date but for this to become common currency that is making heaven on earth, which is impossible. Meanwhile I can still recall how RGS clapped loudly and booed at other competing teams when they made a mistake in a Physics competition at NUS a few months back. To those girls nothing mattered as much as winning. What moral bankruptcy. 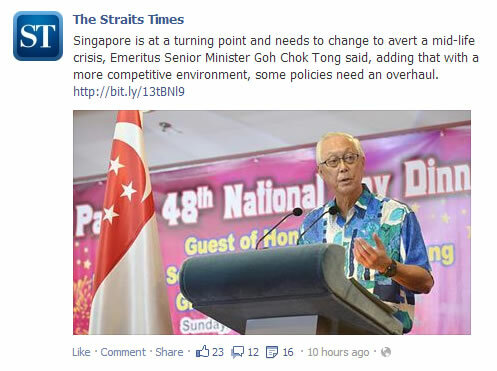 If our best keep up with such myopic attitude they will discover in their lifetimes the end of Singapore. Only a few will escape most will sink with the rest. Good luck! Yesterday was a really busy day with a long night. 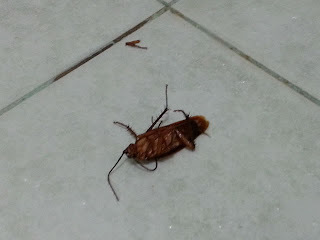 But if there is a cockroach, we drop everything and eradicate it. The good news is that it has taken until August to spot the first cockroach this year. Last year was the worse. We have five incidents. Actually I can't remember and this blog help me to count. Now my wish is no more cockroaches for the rest of the year. I have no time this morning to write about this. Breakfast Network has a good write up on this issue. How appropriately titled: The difference between right and rights. Methinks the Christians couldn't carry this issue in a godly manner because they have lost how to be separate and also inclusive like Jesus was. Theirs is a Christianity of forms rather than power - modern day Pharisees. I shouldn't be surprised they had tripped themselves up and not for the last time. Going forward these folks would be thinking and praying how to get more 'godly' Christians into government aping the American religious right eh? They always think God is on their side, quite unlike Abraham Lincoln who had the humility to wonder if the Union was on God's side. I can't tell you how to be separate and also inclusive. You know it when you see it and Pope Francis is the most prominent example of that but there are countless such believers going about it very quietly. One such guy wrote and published his story: The Irresistible Revolution: Living as an Ordinary Radical. The Rev Lawrence Khong could pick up some points from books like these. I do not read TNP and yet I came to know about this. Sigh! All the wrong publicity. 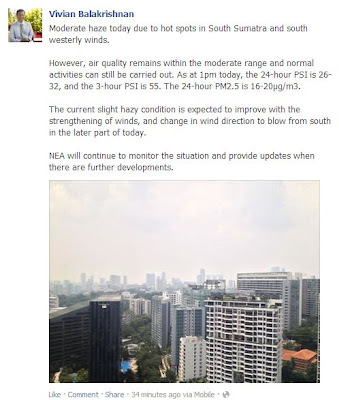 Vivian Balakrishnan on the ball about the haze situation. Good for him, good for us. He also succeeded at arresting the spread of dengue from getting worse, a very difficult campaign. Thumbs up! Every media person was in a hurry. Yahoo posted a pic of the PM upside down but at least they were quick to fix that. This government finally nearly caved in to every request of the opposition over the years. That's shrewd. The PAP will win big by listening. The worry is we were told over the years we can't afford them, so the question is how will they be paid. The PM admitted as much that the cost will grow over time and Medisave is going up soon. We have seen how it grew in other countries. To me this NDR is more significant for what was unsaid than said. That's is the simplest way to look good. Not much talk about public transport. The coming change in the PSLE should alleviate academic stress to the very young. It is cruel to make them compete so hard. Time for the tuition industry to make their calculations. Henceforth the business might grow more slowly. The PM tried his best. I have to be mindful we cannot have the PM we wished for but the one we have. One can wish he would explain with penetrating insight the world today and tomorrow which Singapore must navigate safely but that is not his forte. Life would be much harder for all of us because the future is not clear until it is very near. We will often be scrambling. That is the practical meaning of adaptability, resilience and energy. He and some of his colleagues are good people but we need to be mindful they are not family or friends but politicians. Their story has many things I omitted in my earlier post. I hope unlike the ST they will keep it available indefinitely. Of course we can go to PMO site for the full speech but that's too much to read. I am looking forward to Breakfast Network stories. It is smarter to be slower but better. 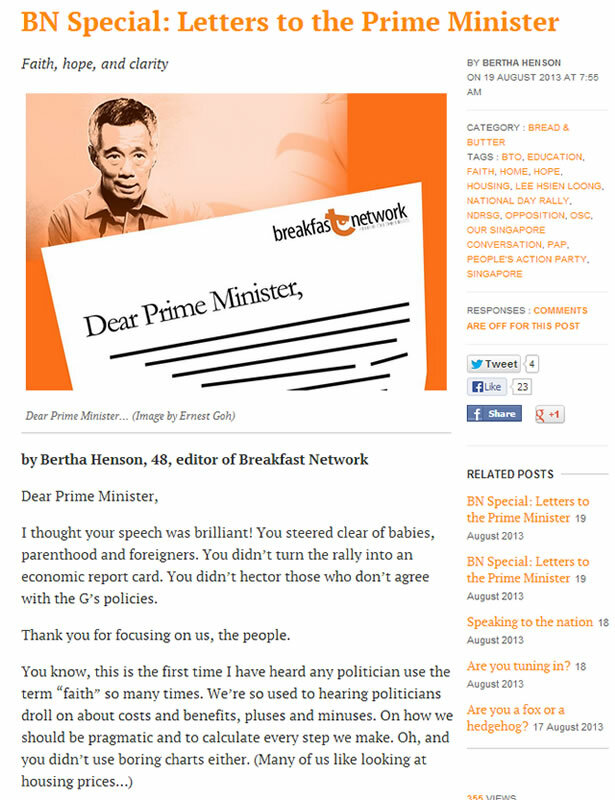 I think Bertha Henson's presentation of the PM's speech is a lot better than the old style format of The Independent. I do not even bother with the ST. I feel that I have heard it from the horse's mouth last night; why bother? BN has many of the topics I had cryptically put across as what was left unsaid. Had I read Bertha's article first, I wouldn't even have the 5:55am update. I didn't say this earlier, but the government is losing its hands at the steering wheel. The people's taking over but we have not yet learned how to organize ourselves to do that well like the Swiss have. Actually I don't even know if the Swiss model is practical for us given that our neighborhood is more unstable and uncertain. Some of the right decisions would be painful ones. It is rare to see people voting for pain. Granted if we have no leaders of legendary foresight, we have no choice. Also Switzerland was a long time in the making. Even thought it's a little early this is a good time to own up to this because I remember a post yesterday and do not want to contradict that. On and off I appear to contradict myself mostly because I didn't want to put in the effort to make myself clearer. Sometimes it is because they are work in progress in my mind. 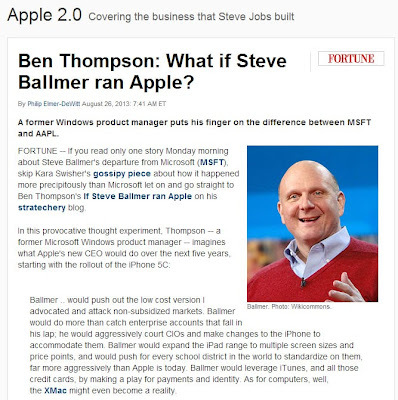 As and when the WP is strong enough to challenge the PAP, we will see that the relationship between the two parties would be no different from that between tech giants. 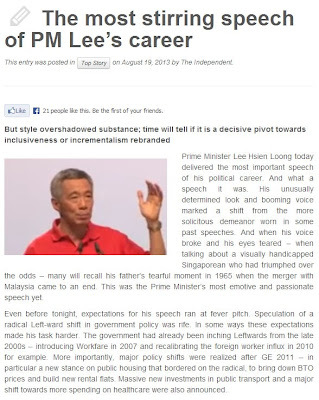 For those who can still remember the words of LKY at Aljunied in 2011, those would be prophetic words. Google lied low when they were much smaller than Microsoft. WP is doing exactly that. Consumers benefited both ways. The happy situation would end when the two biggies fight each other. We will be forced into the same situation some day as long as the WP did not by carelessness or bad luck sink itself. You can't blame the PAP for wanting to fix the WP can you? Deep trust is built between individuals and may be very rarely between families but you can't scale beyond. I have known this as a hard truth for a long time but like many we are also tempted to give fairy tales a chance to become true. I think I want to put an end to this one. I want the WP to help make the PAP better. I do not want them to be able to successfully mount a challenge against the PAP for a very long time, at least until we are be more politically mature and resilient. The Swiss model of governance is attractive but I am not sure if it can be achieved here as we drank from very different wells, we must be very different creatures. Went to NATAS with wifey this morning. Got there early and delighted to find plenty of parking space at the Sing Expo. Collected way to many brochures as it was often easier to accept than turn them down! 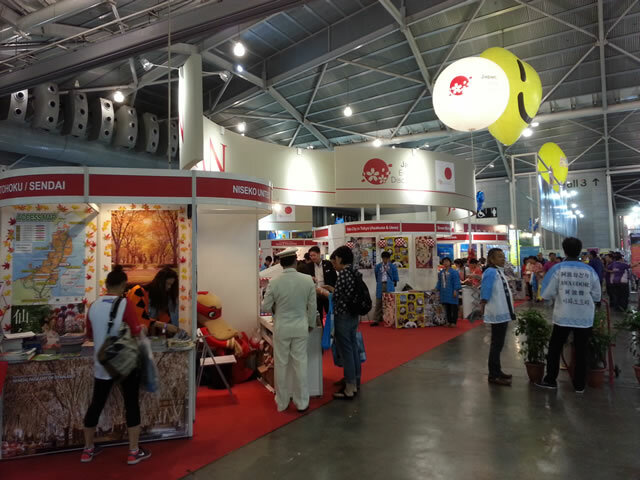 We spent most of our time at the JNTO booth. I guess that would be our next destination. We are giving America a break. I am quite pleased with how the PSC selected the President's Scholars for this year. One grow up in PNG, another had 233 for his PSLE. Many parents are surprised, may be shocked but I am very happy. There should not be a beaten path to this hallowed place but the journey there must be marked by the values we admire. I want to see 'jihad'. I am not so persuaded about giving this scholarships to student leaders, especially the president of student councils. If my memory serves me well many recent President's Scholars were from that path. This is going to become the new beaten path? Google: Gmail isn't private. So? I am not surprised by this at all. I am also not surprised that others are surprised. By and large people don't understand there is no free lunch. If you don't know who paid for lunch, you are. Of course private blogs aren't truly private too. Yes, some things are free but mostly they come from individuals and small businesses. Big businesses are structurally not equipped and unable to give away anything free. If money isn't involved, the payment is in information or hopefully just brand. And when you scale it to the largest possible size i.e., the state, we all eventually learn that nation states have no values, only interests. The values of a society must often work through its NGOs, religious and civil societies. It is perplexing to watch America trying to profess values as a state and regularly failing, but it might be their secret sauce for being a magnet to immigrants. That place give you the best chance in a rotten class for fairy tales becoming true. Horatio Alger tales live in many hearts. We in Singapore are inexperienced and for while this is no bad thing. Elsewhere large companies and government are often treated with suspicion. I sense that we are starting to go down this path too and we would be poorer by becoming like elsewhere. But how can we respond differently when our large companies and government also drifted to become like the disliked best in class everywhere? We are losing our specialness. Came in the mail this morning. I wouldn't have known about this since I don't go hunting for YouTube clips. In Hebrew it is "המזלג - סיפור אהבה מרגש בנתיבי הגורל" You gotta read it from right to left. Many versions of this story must have been written by God for his children. Especially for the Jews, they have many 'Joseph Stories', and there are even bigger stories in the works. I didn't expect looking under my chair could be so interesting. After so many years I can't remember where it came from except that it was quite pricey back then and I didn't pay for it. Got it free from the office. It must be the hidden thought that it wouldn't last much longer that caused me to find out more. 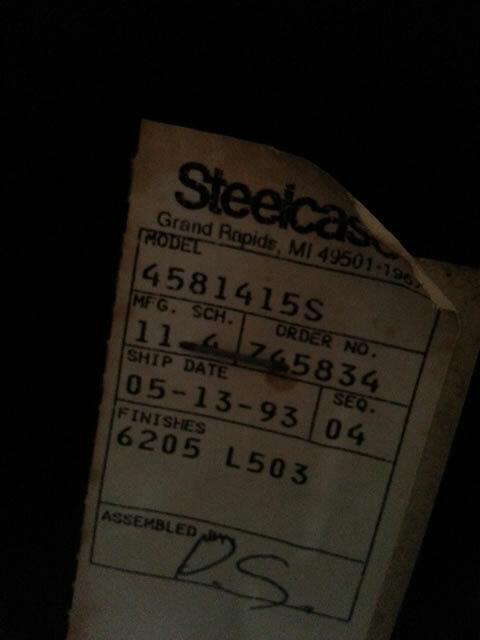 The kids used to sit on its arm rests when they were small. Quite an old chair. Quite a few SMEs threatened to relocate out of SG when the government decided they had to tighten the inflow of foreigners. Guess what? They have decided to work on improving productivity instead. Something they felt could not be done. So many things that we were told cannot be done is now being done. We must always look at the power balance. There is no fair play. The more powerful party often takes advantage of the more powerful one as long as he is perceived not to exercise his power: our votes. If we want to keep this place special, people should never have over leveraged (not abuse) their power. It is very trust destroying and the slippery slope to becoming like anywhere else. For many years I was curious how the toxic industrial relations in SIA did not affect their performance. It was only a matter of time. Gallup surveys of how disengaged our workers are is a flashing red light of a serious underlying chronic problem. LKY was right about democracy outside of Israel in the Middle East but please don't read it as the words of profound wisdom. Every half intelligent person on the streets of Cairo also knows. Of course they needed to quote a professor. Just good journalism. President Mursi botched it. Egypt had a chance to do it differently but now they are learning the hard way that only a tiny minority deserve democracy, not enough to make a difference. So back to the bad and unsustainable old ways. This time the best and brightest of Egypt will leave. Actually to be fair to Mursi, his hands are tied. Had he tried to be otherwise he would probably have lost the backing of his Muslim Brotherhood. So what Egypt needs is a LKY and the Old Guard but there is only one such team and we had them. Just plain bad luck, which is the luck of most third world countries. Ourselves we have out grown LKY into risk and uncertainty. We have a good government but I have checked many times and we need minimum a great government. Had that autumn feeling when I parked the car under this tree yesterday. I just had to take a photo. Unfortunately the S3 camera wasn't able to do a better job. 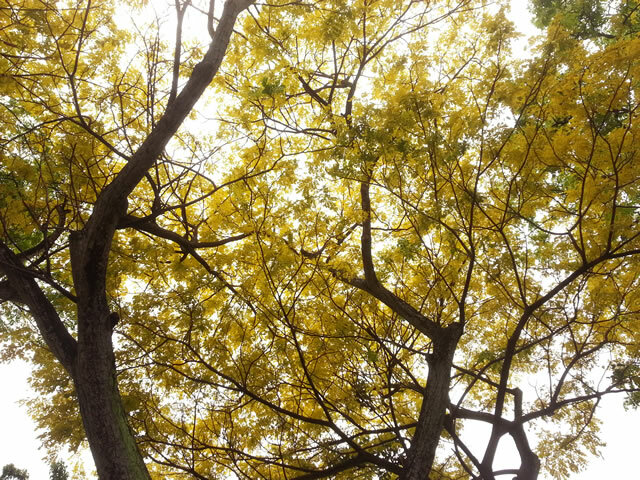 With a gentle breeze in your face, looking up at this was just a magically beautiful moment. Jialat the ESM, the PM and all ministers. Mati you talk like that. This is not the 90s, 80s or before. Don't come to us and talk about mid-life crisis. There is too much knowledge on all sorts of matters floating around absorbed by so many people. Mid-life crisis exist because you know more or less when you are going to die. You wonder in the middle of your life have you achieved what you had wanted. Half your life is gone, will you succeed or fail with your life. In short, nations do not have mid-life crisis, only crises. I tried very hard to be generous in my last post on the OSC. Trying to give them a huge dollop of benefit of the doubt. Looks like it lasted only a day. What does the government want from us? I read his speech, it is more or less of the same as in the past and yet talking about how things must be different? That's an oxymoron.The link to the ESM's speech in full. If the government hadn't fallen into a hole over immigration, public transport, housing, cost of living, medical costs practically all the basic stuff the PWP would have sailed through. But no, we cannot accept the PWP because we have been short changed by them. About the only thing he had gotten right is the loss of trust. And the only thing I want to hear from the PM in a few days time is how he intends to rebuild trust. That is the foundation every initiative must rest on. The way this government rule is quite simple: get us to do as much, pay as much as possible. If the leaders of other nations envy their success, they are focusing on the wrong party. It's not the government but our willingness to accept tough measures for our long term good. That had worked for as long until they lost their way and the promised results never materialized. Then we discovered that they no longer cared as they used to, that they had become even more Darwinian. They extended the process of Natural Selection from within our gene pool to beyond. What the government is doing today is best described as palliative. Their basic thinking hasn't changed but they are aware if they persist in their old ways, they are working themselves out of office. Mid way the OSC becomes a careful and calibrated strategy to target pain relief in order to retain voters' support. Since many of us are pragmatic about results, we do not bother about the whys. We are still shallow and struggling to sink roots but a small and growing number have achieved that especially among civic society and the gay community. When we have more depth, the whys would matter as much as the whats. For now most families a better living trumps over any other why. This leads to the narrowest definition of success which only a few can win. To the government broadening the definition of success is a political necessity for their survival. To us it must be more existential - the purpose and meaning of living. Government will discover they cannot mandate alternative models of success as this must come organically. We will be chasing after the same trophies until enough people learn the hard way that life is more than so many Cs. We cannot sustain ourselves with mostly negative energy, we have to nurture the much harder to grasp positive energy but the transition is risky. Meanwhile the government is trying to regain trust by earning again credibility with superior results from housing, transport, cost of living....it should work at least in the short term but I wonder how all these would be funded in the longer term. Indeed we have a crisis but it isn't a mid-life one. I hope it does not turn out to be terminal. Some days I think we are in the high dependency ward, at least it isn't everyday. Coincidentally this topic was on 93.8Live this morning. Unlike most times many callers spoke good sense and I am very happy about this. One caller explained what is being realistic or unrealistic. He said expecting to go to the casino and make money consistently is unrealistic. Asking for high pay is unrealistic but better pay isn't. Some spoke about can-do and my thoughts (I never call into radio progams) silently were, we are mostly a group of can-do people. The younger generation have it even more when you see how much harder they worked. What we cannot accept from the government is to take our can-do attitude to be a can-screw one. I have blogged about this many times already. We have a good government but unfortunately the Little Red Dot needs a great government. When government isn't great the people suffer. As the government confused good with great, they complained we aren't realistic. But look at what they are telling us to do. Just give a perennial example: have more babies but also put in the longest time at work. Except for the few with luck, this is not possible for most of us. In fact as the competition at PSLE intensifies, the most thoughtful couples are even more discouraged about having babies. 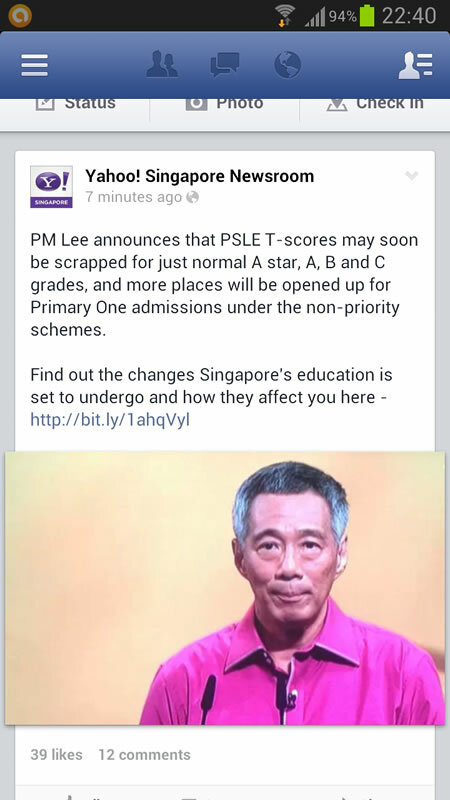 Anyway I am just relieved my children cleared the PSLE a few years ago. Looking at how those assessment books have become harder makes me sad for the kids. The government is generally competent and good with some pockets of great work. An example has been recently chronicled in a CNA program, "Nature of a City". Another great piece of work is the NLB. These two are contrasted by the poor performance of LTA and the many glaring mistakes we all know very well from the Cabinet. 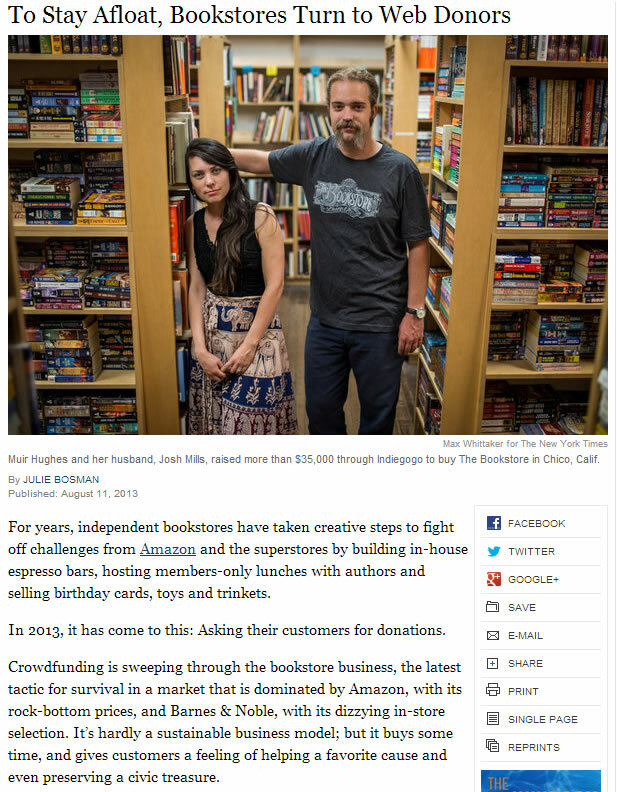 You would easily have thought that small bookstores will one by one bite the dust under the relentless onslaught of Amazon and Barnes and Noble. But this is not happening for a growing number of them. They are leveraging their emotional bonds with their customers to financially support the stores or even expand them. When the environment changes what is invisible become visible. Mothers: Opted out and returning? Reminds me of the high powered mothers I met years ago when my kids were still in primary school. We mostly lost touch with each other but I occasionally see their postings on Facebook. They are fortunate to be in Singapore. The Americans have is much harder. Not everyone of them has the luxury to be a tai tai. Quite a few would have to return to work. Also as their kids grow up and eventually as become empty nesters what are they going to do with their time? In fact, I have even heard such moms talking about their dilemma on FM 93.8 in our morning drive to work. The Americans can afford a lot of waste but I wonder how is our economy putting our highly educated moms back to meaningful work. I think being tight we admitting FTs surely help these moms find good jobs when the time comes. The OSC is done, what now?